So, you want to create a wall art gallery in your home but you’re not sure where to begin. Well, Rachael Venema Photography is here to help you do just that. As a Bay Area Family Photographer, Rachael Venema assists you with all the planning throughout your entire portrait session so in the end you have a beautiful wall art gallery to display in your home. We customize it to the exact wall where you want your wall art to be displayed. Want to know how this process works? Here’s what we do. First, we start with a consultation and discuss all what you are wanting to do with your portraits. We talk about your design taste, what colors would work best in your home, and where you would like to display your wall art. We help you with clothing choices, the location for your portraits, and we go over every little detail so we know exactly what will work best for your home and for your family. 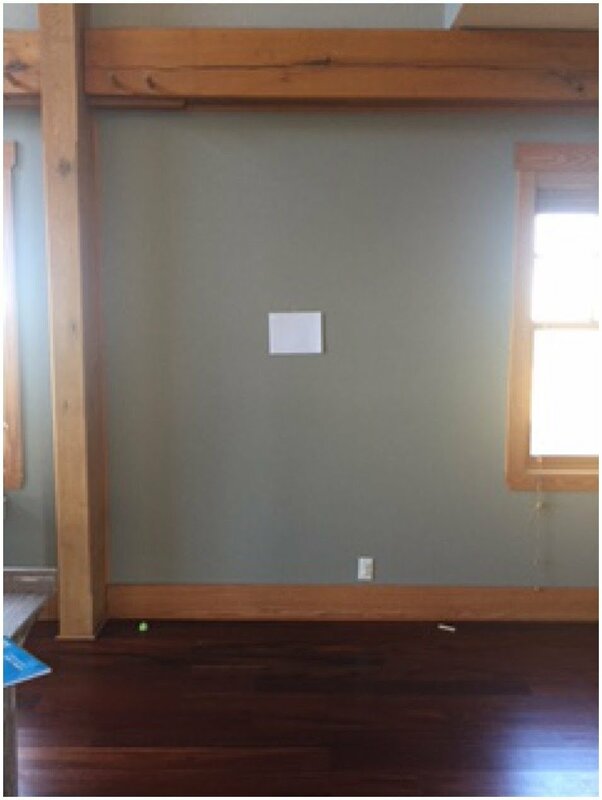 After we go over all the details then we take some photos of the walls you are thinking about decorating. This allows us to show you your wall art to scale on your very own wall! Then we create some wall art designs with your favorite images from your portrait session. This allows you to see exactly what it will look like and decide which layout you like best! Once you’ve decided what layout you like best, we process the order and deliver everything to your home. All of the frames come with paper templates and anchor screws so you can easily hang all of the frames yourself OR we will hang your portraits for you! Here is a photo that our customer took after they hung the gallery on their wall. This family was so pleased to have help from picking out their wardrobe, so it coordinates together, as well as looking great in the portraits on display in their home. 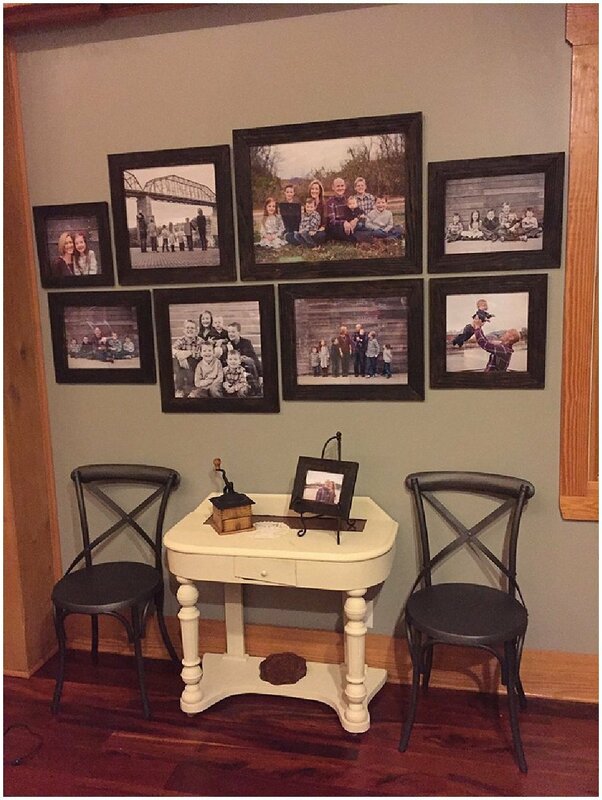 The frames are handmade barn wood frames that are custom made from real wood. They are unique and one of a kind. 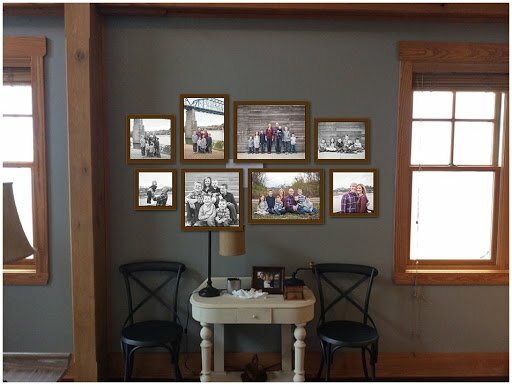 What a beautiful and unique way to display your family’s portraits! “We love our wall gallery so much! I purposely walk past that gallery each day just so I can look at it! I’m so happy with how it turned out. Thank you for helping us create such a beautiful wall art gallery for our home. Our kids keep pointing at the pictures that they see of themselves. We all love looking at it!” ~ Leanne P.
Would you like help designing a beautiful wall art gallery for your home? Contact Rachael Venema Photography today to schedule a free portrait consultation!